Becoming a better writer takes practice, and you’re already practicing. No, seriously—you write a lot. Even if you don’t think of yourself as a writer, you put thoughts into text more often than you realize. At the very least, you write emails—a lot of emails—post on social media, make updates to your résumé and LinkedIn profile, and message your friends. If your job requires it, you also create things like reports, presentations, newsletters . . . it’s a long list. Here’s a tip: Whether you’re writing an email, creating a presentation, or just sending a quick tweet, Grammarly can help! Try one of our browser extensions to make your writing cleaner and more impressive. So, you’re already writing. Now, improving your writing skills is just a matter of becoming conscious of the things you can do to give your text more structure and make your copy crisp and readable with a conversational style. It’s fine to rattle off a stream of consciousness when you’re writing in your journal, but if you actually want to communicate with others you’ll need to bring some order to those rambling thoughts. Here are some tips. 1 Make sure you’re clear on the concepts you’re writing about. Albert Einstein said, “If you can’t explain it to a six-year-old, you don’t understand it yourself.” Before you start writing, take a moment to mentally explain the concept to the six-year-old who lives inside your head. (We all have one, don’t we?) If your writing goal is to achieve a specific result, ask yourself what that result should be. Before you dive into writing, have a clear purpose. Then stick to it. 2 If the message is complex, outline it. It doesn’t take much thought-organizing to compose the average text message, but if you’re writing something more complex, with multiple angles, questions, or requests, get all that stuff sorted before you sit down to write. Making an outline, or even just some quick notes about the topics you want to cover, can save you time answering clarifying questions later. And speaking of questions . . .
3 Anticipate your readers’ questions. Put yourself in your readers’ shoes. Do they have enough context to understand what you’ve written for them? If not, fill in the blanks. But . . . If you’ve taken the time to organize your thoughts in advance, you should be able to keep things simple. The idea is to give readers just enough to understand what you’re communicating without overwhelming them with trivial details. If you find yourself getting in the weeds with more details than you need, look at each piece of information and ask whether it’s essential to help your reader understand your message. If not, get rid of it. We sometimes write like we talk, and that can be a good thing. It keeps our writing conversational (more on that in a moment.) But rambling, wordy writing makes your text hard to read, and it can make you sound as though you lack conviction. 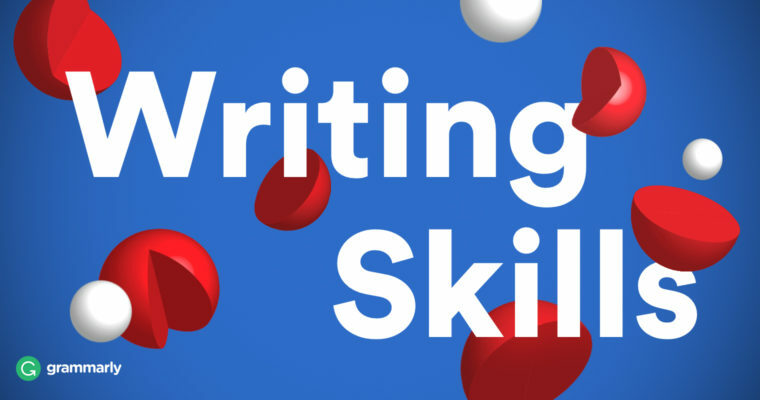 Start practicing these skills to streamline your writing. When I was a neophyte writer, someone showed me how prepositional phrases made my writing unnecessarily wordy and complex. It was an epiphany! Prepositions aren’t difficult to understand, but the concept does require some explanation. Get smart about prepositions here, and then try to simplify them whenever it makes sense. Your writing will get a much-needed clarity boost. Some words show up in our writing all the time, and yet they don’t contribute much of anything. Although these filler words and phrases sometimes add color or even meaning, most of the time they contribute nothing but clutter. Here are thirty-one of them you can eliminate right now. 7 Don’t pad weak words with adverbs. 8 Stick with simple words. Bestselling author John Grisham said, “There are three types of words: (1) words we know; (2) words we should know; (3) words nobody knows. Forget those in the third category and use restraint with those in the second.” There’s a difference between having a rich vocabulary and dropping million-dollar words into your writing just to show off. Unless it’s your intent to be poetic, keep your language simple and direct. I’m certain sure you are able to can deliver the quality of work we’re looking for. Let’s discuss talk about it in our meeting next week. I am sure you are able to deliver the quality of work we are looking for. Let us discuss it in our meeting next week. Now, let’s add some contractions. Doesn’t this sound less stuffy? I’m sure you can deliver the quality of work we’re looking for. Let’s talk about it in our meeting next week. Try transcribing a conversation you’ve recorded (with the other person’s permission, of course). Transcribe a couple of minutes of the conversation word-for-word. Then, fix or remove any false starts and remove filler (um, uh, like, you know)—et voila!—you’ve got yourself some conversational writing. The process of transcribing and editing will help you learn what to do and what not to. 11 Throw away the grammar rule book . . . within reason. We, the Grammarly team, give you permission to start sentences with conjunctions. And (see what we did there?) unless you’re writing something formal, we’re perfectly okay with you ending some sentences with prepositions. Write naturally, human! It’s all good. 12 Keep your sentences simple. Literary greats can write long, complex sentences with flair. Why not you? Well, for starters you’re probably not trying to write like Tolstoy, Nabokov, or Faulkner. Short, less complicated sentences are easier to read. Keep it simple, silly! But do vary your sentence length so your writing has a nice flow. 13 Read it out loud. Speaking of flow, reading your writing aloud can help you determine whether it flows smoothly. If it sounds choppy and clipped, add a few longer sentences to break up that steady, monotonous beat. If you find yourself stumbling over parts, you’ve probably found an overly complex sentence that needs rewriting. I always recommend reading your work out loud . . . because it works! Letting your personality shine through is the best way to develop a writing style. Use the phrases and slang that you would normally use (within reason). When it’s appropriate, throw in a relevant personal anecdote. In all but the most formal or professional writing settings, be yourself when you write. The ultimate way to make your writing better is to learn what weakens it in the first place, and then set your mind to fixing (and eventually preventing) the glitches. The more you write, edit, and proofread, the better you get at it.